Din sized (22.5mm x 75mm) enclosure for Track / Screw mounting. Our organization offers an extensive range of Electronic Timers A- SERIES - AIDI - X - 60 – M, which is available in Din sized (22.5mm x 75mm). These are provided with enclosure for track /screw mounting. Our range is available in various customized finishes at industry leading prices. External command contact for timing initiation. With the assistance of our diligent team, we are involved in offering an extensive range ofElectronic Timers A- SERIES - (A1 DA). These are equipped with front terminal protective cover for the safety of the user. We offer these Timers in Din size and other technical specifications that are provided by our clients. We provide state-of-the art microcontroller based Combination Timer Model S1DC8M3 to our clients. 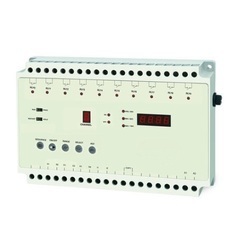 These are provided with 7 segment display indication for channel & timing operation. The Timer is used to count time sequences up to 99 hrs 59 minutes. External contacts for timing initiation & timing pause. 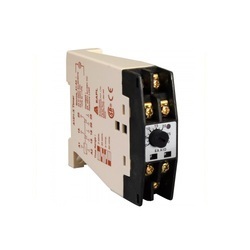 Our expertise in the respective field allows us to offer a wide range of A Series Timer (A1DH - 1). 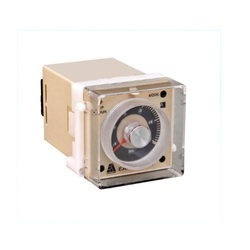 These Timers are manufactured in compliance with the latest technological advancements in the market to ensure to deliver defect free and high performing products. The unit is equipped with LED indication for timing in progress and screw type terminals with wire size 2.5 mm 2 maximum. 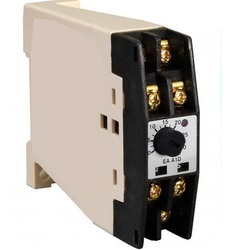 Our organization is involved in offering a comprehensive range of B Series Timer-B1DHQ. These are provided with terminal protective cover for the safety of the user. We offer these timers in various Din sizes ranging from (45mmX75mm) along with enclosure for track/screw mounting. Din sized (45mmX75mm) enclosure for track/screw mounting. Adjustable delay time up to 60 secs on power off. For terminal protective cover for safety. 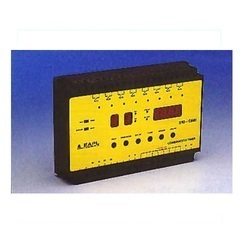 With the assistance of our dexterous professionals, we are offering an extensive range of B Series Timer B1DCA – T. These are used for counting time in ranging from 0.1 secs to 10 hrs in 6 different ranges. The program in the unit enables or disables the facility for tamper proof operation. 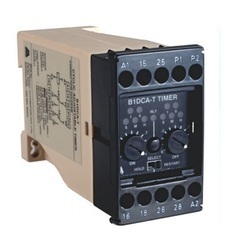 We are engaged in offering a wide range of B Series Timer B1DCA – X, which is manufactured in tandem with the set industry standards. These are available in Din sized ranges from (45mm x 75mm) and provided with enclosure for track /screw mounting. Further, the independently selectable on and off time ensure easy operation of the unit. Din sized (45mm x 75mm) enclosure for track /screw mounting. Our organization is engaged in offering a comprehensive range of Electronic Timer H-series (H3D1, H1D1-X, H1DA-X). The unit is equipped with LED indication for timing in progress. 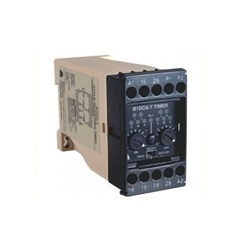 These multi function timers have screw type 8 terminal rear connections that provides accurate results. Din sized (48mm x 48mm) enclosure for Front panel mounting. Screw type 8 terminal rear connections. 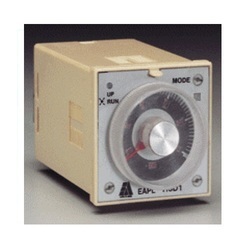 Our expertise allows us to offer a comprehensive range of Electronic Timers H-Series H1D1-X. These are provided with LED indication for timing in progress and large transparent knob for ensuring precise time setting. Our range is available in various customized finishes as per the clients need. Din sized (48mm x 48mm) enclosure for Panel/Track/Screw mounting. H1DA-X accepts any voltage from 12V AC/DC to 220V AC/DC as signal between command contacts. 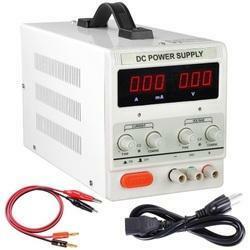 We are the leading supplier of DC Power Supply made available to our clients at competitive prices. Looking for Electronic Timers ?